Katherine Graham has been making art for over twenty-five years. She graduated from Appalachian State University with a BFA, concentrating in ceramics and painting. She has participated in many exhibitions throughout the state in both mediums. She has also worked as an assistant for several ceramic artists doing both functional and Raku pottery. Ms. Graham loves to share her enthusiasm for creating art by teaching adults and children. 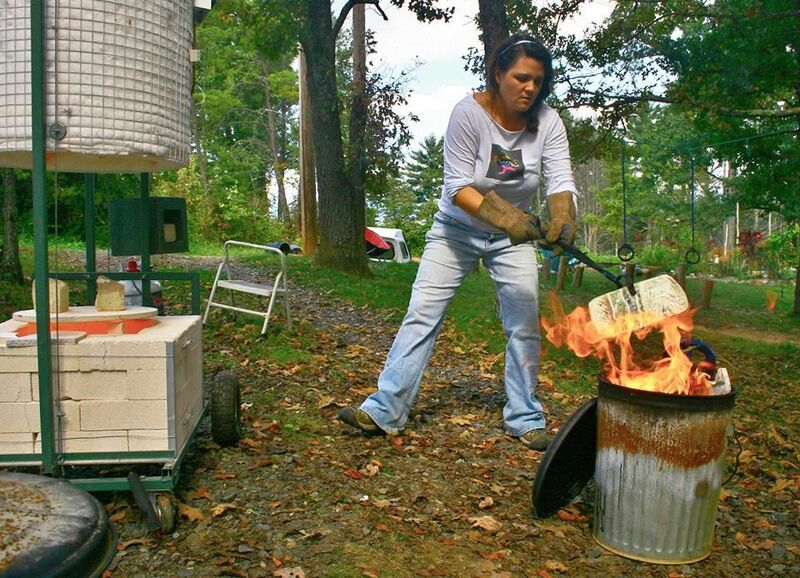 She has been a teacher’s assistant in Raku at Appalachian State University, John C. Campbell Folk School and Penland School of Crafts. Katherine has also been teaching watercolor for over ten years. She now lives in beautiful Madison County with her family and a host of dogs, cats, chickens and bees. She draws inspiration from her love of the outdoors and her adventures at home and abroad. Creating Art is a meditation on the complex yet simple beauty of life and nature. The patterns, cycles, forms and textures I find in nature inspire my imagery as well as my concepts. I use clay as a canvass and natural materials such as glass, leaves, and mica as a natural compliment to the design. 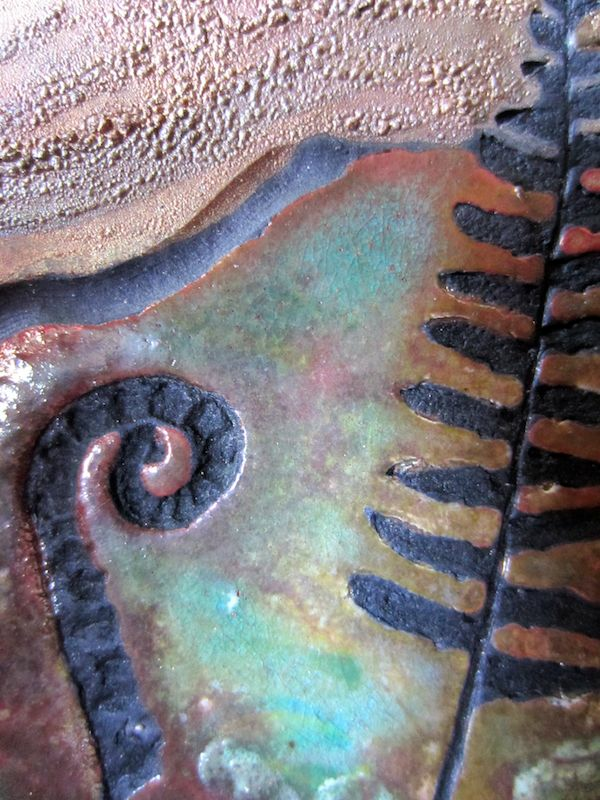 The Raku glazes and firing process also enhances the uniqueness of the finished piece. I am able to express myself intuitively while bringing the viewer closer to the beauty and artistry of nature.